Our new interview is in! This time, we interviewed Coinmama - to see what are they up to and what are their plans going forward. Let’s dig in! What is your story? How and when did the team end up together? Have you done some previous projects together as well? Back in the early 2013, our two founders, Ilan and Laurence, wanted to invest in bitcoins. Mind you, this was back in the haydays of crypto where dodgy exchanges and 50% commission was the norm. They got so frustrated that they ended up creating Coinmama, and we’ve been going at it ever since! 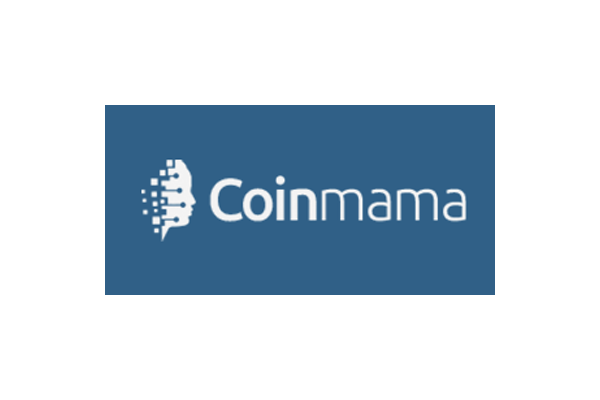 What makes Coinmama different from other cryptocurrency brokers? It’s easy be get dazzled by the current growth figures, but crypto is much more than just an interesting investment opportunity. It’s the new way to exchange assets, with all the freedom, power (and yes, responsibility) that comes with truly being the master of your own finances. The way I see it, the potential of crypto is the potential of money, and if I’m right about that, then crypto needs to be for everyone. It needs to be simple enough that everyone can understand it, accessible enough that everyone want to use it, and backed by the right amount of support and education that they know how to. That’s our mission. To create the worlds easiest, safest and most convenient way to buy crypto anywhere in the world. What do you see as the biggest hurdle today for users to get started with Bitcoin and how does Coinmama tackle this? Getting into crypto is currently way harder than it needs to be. As a customer, I need to understand the Blockchain (which, let’s be honest, is not bedside reading), manage my wallet and submit my identity to websites I’ve never heard of before — a process that often takes weeks. It’s scary, confusing and not at all seamless. Why can’t it just be like buying shoes on Amazon? We spend an awful lot of time talking about that at Coinmama. What are the biggest challenges and milestones for You in the next 12-months? To bring crypto to the masses, we need to hire the right people, build a solid financial infrastructure, a great website and to continue our path towards becoming the most customer-centric financial service out there. What’s the biggest achievement you’ll celebrate with the Coinmama 3 years from now? We’re lucky to have served hundred of thousands of customers across the globe, and to hear their stories about how crypto made a difference in their life is both inspiring and humbling. I want to give everyone that opportunity. My hope is that 3 years from now we’ll look back and be able to say that we helped push the industry towards that goal — in some big or small way. It’s said that you don’t facilitate trades between buyers and sellers, but you sell bitcoin out of your own inventory. When bitcoin price is going up so sharply, have you considered that it’s more profitable to hold the inventory instead of selling it? Our business is about selling crypto to customers in a way that isn’t rocket science. We don’t have an interest in profiting from speculation. How many new clients Coinmama registers per week and how have the numbers increased in 2017? Are we seeing the start of the mass adoption of the bitcoin? I can’t get into specific numbers, but I can say that we have a volume growth of 1800% year-over-year and spend a fair amount of time coping with the scale of that. (If you’re a customer at Coinmama and have felt some of it, sorry! We are learning…). What’s interesting is that much of the recent market growth comes from the influx of mainstream investors. Having said that, I still don’t think we’re anywhere near mass market adoption. What is the biggest myth/misconcepction about Coinmama, if there is one? We did hear a theory once about the ‘Mama’ who’s out to take people’s money. We got a good chuckle out of that, and now have a wall painting in our office of a hipster mama. I personally get a kick out of customers who come back years later ask “Wait, are you guys still alive?” after which I have to convince them that they are not talking to a robot from the past. Trading or hodling — which do you prefer? I wouldn’t go as far as to say I’m a bad trader, but I’m definitely a hodler! Which cryptocurrencies has Coinmama team invested into? Why? One of the occupational hazards of working in this industry is the notion that you can never invest enough in crypto, so most of us do invest on the side. In fact, we believe so strongly about this that we’re giving out many of our bonuses in crypto. Is there anyone who you specifically follow in the cryptocurrency (investment) space? We’re always keeping tabs on what happens in the market, but generally don’t fuss too much about competition. I believe we have a good grasp of the challenges that lie ahead. Our success predicates on our ability to solve them — not on trying to match Coinbase feature by feature. If you could borrow someone’s brain for a week, whose brain would it be? Alive? I’d love to pick Tony Hsieh’s brain (CEO of Zappos). Otherwise, I’ll have to go with Steve Jobs. His insights on bringing complex technologies to the masses, in a way that everyone understands, would be invaluable. What is the most valuable advice that you could give to people just starting to discover the crypto industry? Get in the game, big or small, and decide not to withdraw for at least a year. You’ll be happy that you did. Great, stuff Marting! Appreciate your time and your answers and we wish all the best for Coinmama going forward.